Constable Faunce came to Springwood at an interesting time in the history of the area. In 1902 he was given the task of collecting names, under the Women’s Franchise Act, that would enable the ladies of the district to be included on the 1903 electoral roll. However the task was not easy, and the Nepean Times reported that at least a dozen ladies refused to be enrolled. The election of 1903 was the first NSW election in which ladies were eligible to vote. Constable Faunce was also faced - on a regular basis - with the arrest of drunk and disorderly persons. The railway workings brought all kinds of people into the area and the associated problems cause by the influx. Tramps were also a common occurrence in the district during the early 1900s, and there was always a theft of some kind to follow up. The tramps broke into the ‘grand houses’, usually left vacant during the week in the hope of finding portable goods to sell or perhaps something to eat. However, Constable Faunce was equal to his job because more often than not he caught up with the criminal, arrested the drunk, put out the fire or, on one occassion, captured an escaped lunatic. He was born in 1875, the son of Alured Dodsworth and Henrietta Charlotte M. Faunce. Alured Dodsworth was the son of Alured Tasker Faunce who arrived in Sydney with the 4th Regiment of Foot on 9th October, 1832. In 1899, Robert married Ethel J. Saunders and following their marriage three children were born; Alured D. in 1901, Richard A. in 1902 and Harry S in 1904. 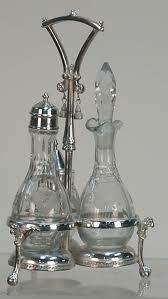 In March 1905, a send off was held in the Royal Hotel where Constable Faunce was presented with a silver cruet, butter dish and two salt cellars with his name engraved on each. These were to be sent on to him when he took up his new position at St Albans. Attending the send off were Messrs F. Wilson JP (Chair), S. Duncan (Vice Chair), T.F. Smith (Secretary) and many other gentlemen of the area. Messrs J.D. Ewens JP, A. Colless JP and T. Garrett sent apologies. During the evening Mr Maidment (licensee of the Royal Hotel) sang ‘Hearts of Oak’ to those assembled, and was joined with further songs from P. & R. Tanner, F. Towle, J. Gibbes and others. Constable Middleton took the place of Constable Faunce, who died in 1942. Pamela Smith from The Making Of A Mountain Community: A Biographical Dictionary of the Springwood District. Alured Tasker Faunce of Queanbeyan, Monaro Pioneers, http://www.monaropioneers.com/.